Ask me about: Flora/Fauna, marine biology, weather/climatology, Hawaiian history/culture, and how to have fun in general. After graduating an extroverted geographer from the university of New Hampshire, Aaron departed the east coast in 2004 in search of new horizons. His initial travels brought him to little cottonwood canyon, where he lived and skied Alta/Snowbird a full season before being introduced to the Aina of Kauai. Shortly after arriving he knew the islands were his home and has only left to undergo a medley of adventures. 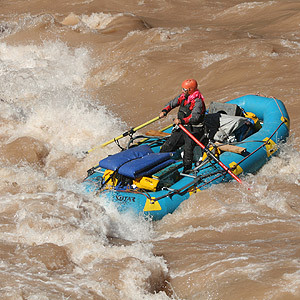 Some of these adventures include, sea kayak guiding remote tidewater glaciers of Alaska, white water rafting the Grand Canyon, and sailing around the world. He truly lives for people, shared experience, and the opportunity open peoples eyes to nature in all its beauty. Favorite thing about being a guide: the people…I’m honored to work with such outstanding characters and always look forward to interacting with guests in such a beautiful setting…just having a great time! After a brilliant career in the Swedish film industry, Thomas returned to America to resume his education, only to graduate with honors from Tulane University. But soon again he succumbed to the vagabond yearnings of his regrettably insatiable wanderlust, traveling throughout the Rocky Mountains, down through Mexico and Central America, over to Africa and finally settling on a resplendently remote archipelago in the Northern Pacific Ocean, where he guides unsuspecting innocents through the sublimity of the Wailua River Valley. Home Town: Raised in Amherst, NH. High school in Hudson, NH . 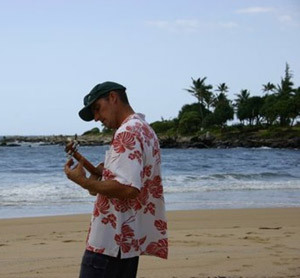 Hobbies : Gardening, fixing surfboard dings, hiking, surfing, fishing, ocean kayaking, & building things that come to mind. 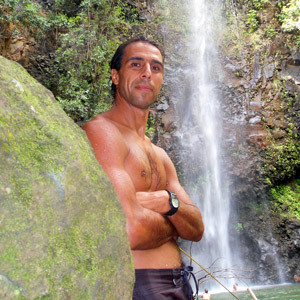 Ask me about: Hawaiian language , swimming spots, How to make your vacation more exciting. I also really like Orchids, fruit, plants & animals, hiking, surfing / boogie boarding. Favorite thing about being a guide: I love being outdoors. The reason I came to Kauai was to be in the beauty of the island. I like getting people out there in nature &showing them a good time. 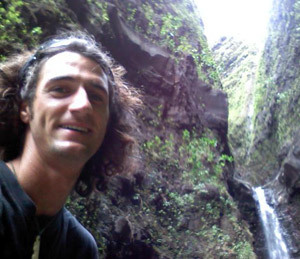 Favorite place on Kauai: Hiking or kayaking The Napali Coast.